← Candy is Dandy, but…. 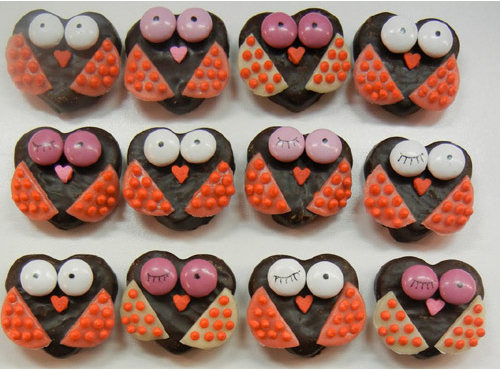 Owls and candy come together in this great blog post from myowlbarn. These are make from Valentine Peppermint Patties, m&m, and Tootsie Rolls. I think they’re adorable. Most likely I will never get around to making these, but I’m glad that someone took the time to create them. Posted in Dark Chocolate, Minty, references, recipes, Valentines Day. Bookmark the permalink.